While I have planted a significant amount of new Pinot gris and Tramini, until these have reached at least five years of age and able to produce a reasonable harvest, Italian Riesling grapes are still our single largest varietal grape by volume. Italian Riesling is also the last to ripen. The harvest this year, much like with the Turán and Pinot gris was done just before a predicted large rain. The grapes came in a little light on the sugar (20 brix) but with good acidity. Delaying the harvest until after the rain had too many risks, as the grapes had some benign noble rot, which could have become damaging gray rot after the rain. But overall, I am happy with the harvest. 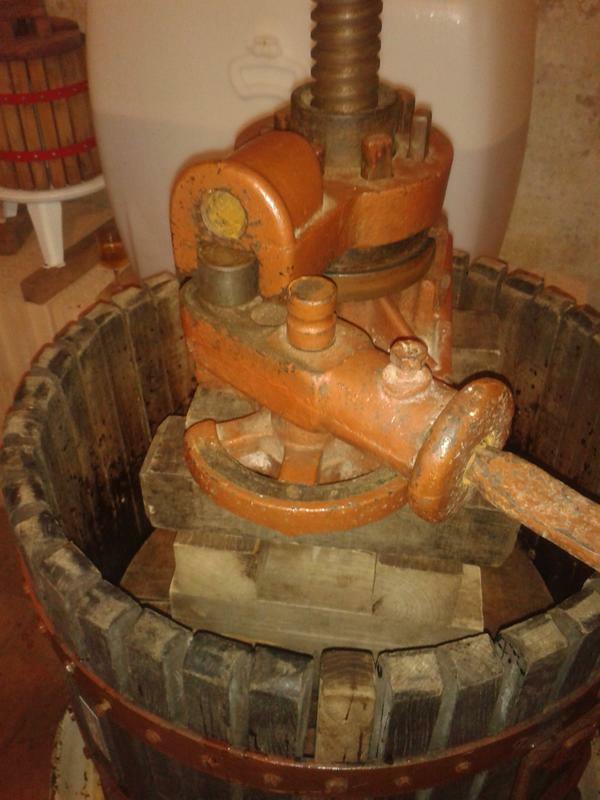 This year should make for a nice and delightfully light wine. 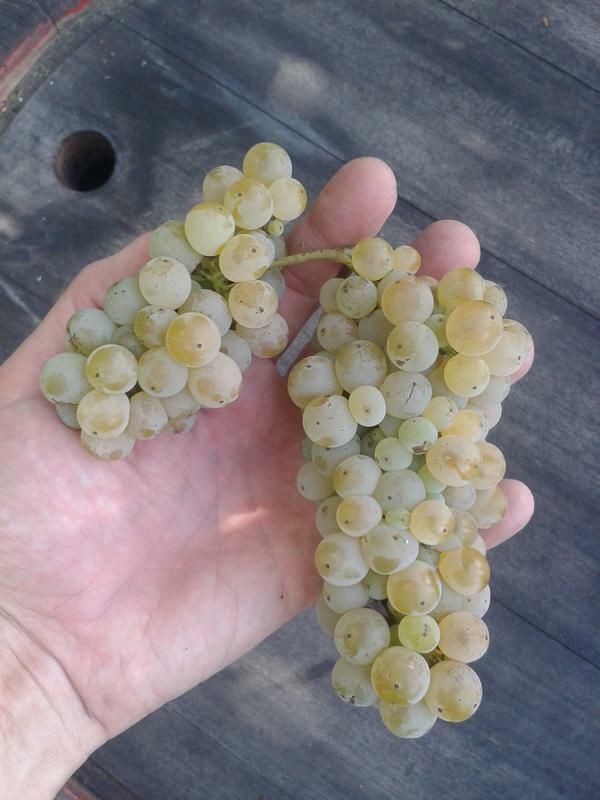 Italian Riesling with side cluster. 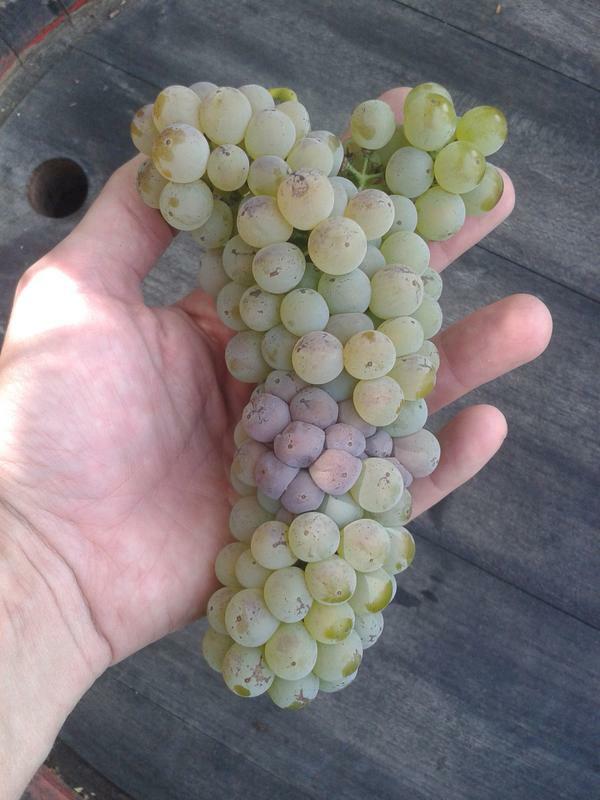 Italian Riesling with shoulders on the cluster (also some minor noble rot in the middle). 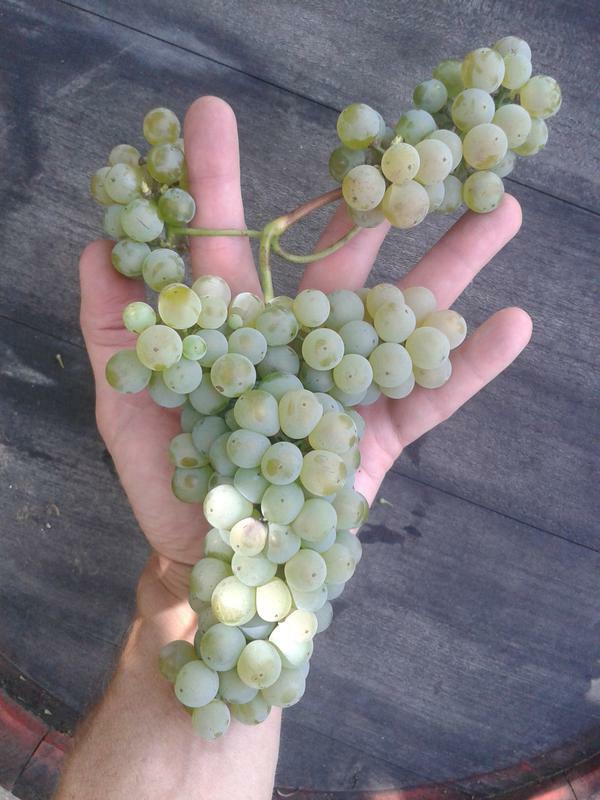 Italian Riesling with shoulders on the main cluster and two side clusters. 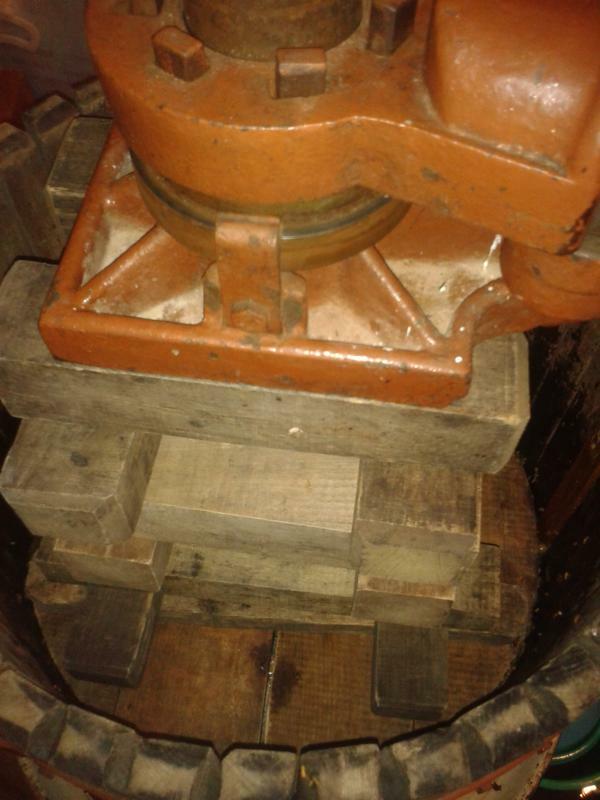 Stacking wooden extensions in the press. Ratchet mechanism in the press head. 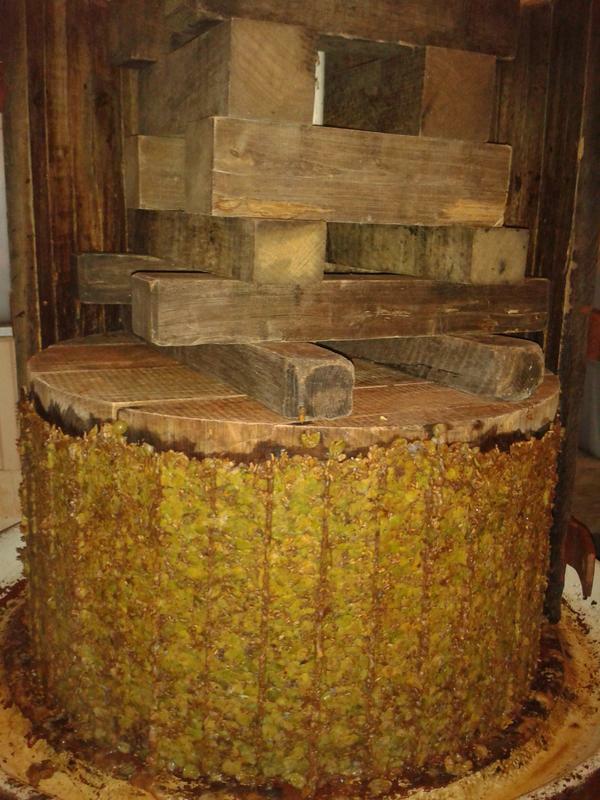 Pressed and compacted grapes after pressing.